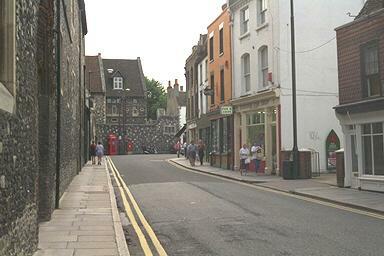 On your left are the flint faced walls of the Kings School. There are several interesting shops on the right. The white building nearest us sells Fish and Chips, there are then a couple of shops selling antiques including one that specialises in vintage cameras.